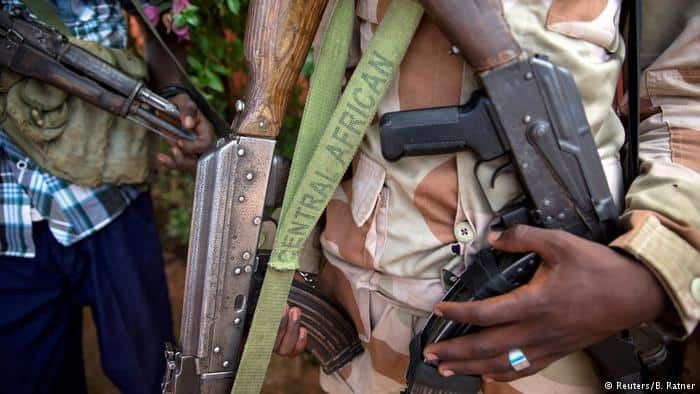 Central African Republic (CAR) recently inked a peace deal with armed groups to halt the country’s growing crisis and many are hoping the new agreement would restore tranquility to a nation ravaged by war since 2013. Statistics about the Central African Republic are startling and unsettling. It’s difficult to imagine how a nation at the heart of the continent got immersed into such a crisis. Yet the future looks gloomy and foggy. The UN predicts famine will hit the country, if the country’s dipping, which it said is at an “alarming rate”, humanitarian crisis lingers. The Central African Republic (CAR) has been dogged by various crisis since the violence started in 2013, and with underlying issues causing the fight lacking any proper definition and attention, the country risks elongated gut-wrenching memory. The UN’s World Food Programme had in November 2018 warned that the CAR was facing the worst situation of food insecurity in four years, with nearly two million people in urgent need of food aid. Data from the UN humanitarian agency, OCHA, also showed that 2.9 million people – 63 percent of the population – require aid and protection. However, the country took yet another move towards restoring peace at its borders with a recent peace deal with 14 armed groups in Khartoum, Sudan’s capital. The new peace deal was announced by the African Union during the weekend. The latest peace deal was signed by President Faustin Archange Touadera for the CAR government and representatives of the militias which control most of the chronically-troubled country. “The Khartoum Agreement opens the door for peace to return to our homeland,” Touadera had been quoted as saying during the ceremony. “It is now time to open a new page for Central Africa. Let’s go together to Bangui to build our country together,” he added. CAR’s political crisis history stretches over many decades, suffering the brunt’s political unrest. However, the present situation kickstarted with President Francois Bozize’s overthrow in 2013 by mainly Muslim Seleka rebels, triggering Christian militia revenge attacks. The post-2013 crisis in CAR is caused largely by clashes of interests involving the government, rebels from the Seleka coalition and the Anti-balaka militias. Bozize won the country’s 2005 presidential elections in a run-off by defeating Martin Ziguélé, who represented the overthrown ruling party, Movement for the Liberation of the Central African People (MLPC) as at then. Things started falling apart in 2013 after the Bozize government was terminated by a coup fueled by the Seleka rebel forces. Bozize, upon assuming office was tasked with a crucial mission of restoring peace to a tumultuous CAR and some argued he fared pretty well in this regard. His administration was able to meaningfully engage the rebels groups, consequently inking peace agreement with them in 2007, raising hopes of stability in the country and offshore. But the situation arrangement never lasted, dashing many hopes. The Sedaka rebel forces had accused Bozize of breaching his agreement with them, resulting in a heavy process in the aftermath, and captured many towns at the end of 2012. The capital was seized by the rebels in March 2013, drawing the curtain on the President’s rule. Shortly after Bozize’s exit from power, rebel leader Michel Djotodia declared himself president. The crisis was soon deepened along ethnic and religious lines. Militias among Christians who accounted for about 80% of the country’s population, had staged revenge attacks against the Muslims dominated Seleka rebel forces, in what was referred to as Anti-balaka movement. Djotodia’s government was unable to stop the crisis from getting even deeper. In September 2013, President disbanded the Seleka coalition which had lost its unity after taking power in January 2014, Djotodia resigned and was replaced by Catherine Samba-Panza, but the conflict continued. In July 2014, Ex-Séléka factions and anti-balaka representatives signed a ceasefire agreement in Brazzaville. By the end of 2014, the country was de facto partitioned with the anti-Balaka in the south and west, with most of its Muslims evacuated, and ex-Seleka in the north and east. More than 1.1 million people have fled their homes in a country of about 5 million people, the highest ever recorded in the country. The West has come under the storms from some quarters for not doing enough to arrest the ongoing crisis in the Central African Republic, but many are also critical of how Russia’s intervention would save the situation, with violence coming to a head and hopes of respite plummeting. “The UN-backed African Union peace talks have so far failed to stop the fighting. As the West remained complacent and aloof, ignoring the CAR, Russia stepped in,” Haque adds. Whether Russia can bring the rebels back to the round table and restore the stable atmosphere that characterized the Bozize administration remains unknown.